Urban Decay has recently released their newest Naked Basics Palette ($27.00) which is comprised of six essential neutral eyeshadow colors, that are sure to please neutral eyeshadow lovers everywhere. Four of the shades are new and exclusive to this palette (Venus, Naked 2, Faint, and Crave), while Foxy is featured in the Naked 2 palette, and Walk Of Shame was a bonus shade that was available in Urban Decay's "build your own palette". 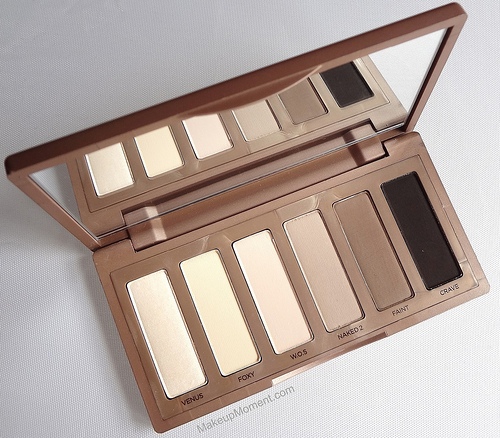 I am a huge fan of the original Naked Palette so of course, it should come to no surprise that this one has made it's way into my heart as well! This eyeshadow palette is great for bringing along for travels thanks to it's small compact size, and the inclusion of a handy mirror. The palette contains a soft, rubberized exterior-much like the one that Nars products are well known for, which adds some sturdiness as well as a touch of elegance. As for the shadows themselves, I honestly can't say anything bad about them. Each of the shadows have a smooth texture that is a pleasure to work with. They blend amazingly well and pigmentation leaves nothing to be desired. They last all throughout wear time on my lids, too, atop an eyeshadow primer. Personally, I love that these shadows are on the matte side-with the exception of Venus, which contains a satin finish. 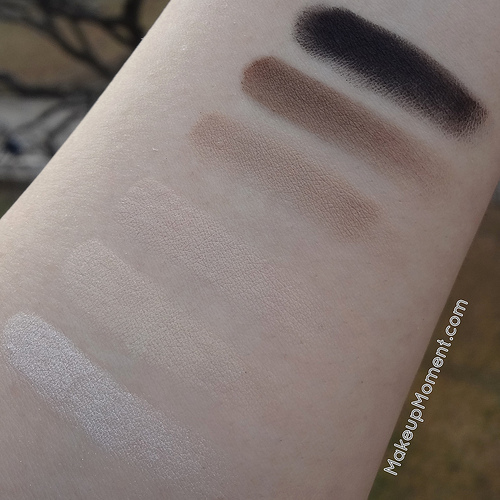 Don't get me wrong, I love shimmered shadows as much as the next, but it's nice to have a few neutral matte colors to add to the mix every now and then, for a more muted eye look. The eyeshadow colors in the Naked Basics palette all coordinate well together, and the number of eye looks that can be created is vast. Whether it's a soft day look, or a sultry smoky look for night, Urban Decay's Naked Basics Palette has got it covered. Venus, Foxy, and Walk Of Shame make great lid/highlight colors, while Naked 2, Faint, and Crave are all great defining shades for the crease and outer v area. 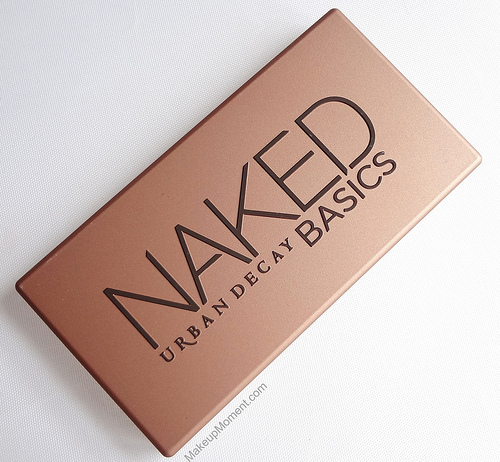 Overall: Urban Decay's Naked Basics palette is a superb product that I am sure many are going to love. For those of you who have been longing for a decently affordable, quality neutral eyeshadow palette with matte finishes, these shadows surely will not disappoint. If you already own Urban Decay's Naked and Naked 2 palettes, these matte basics make great complimenting shades to those. Bonus! 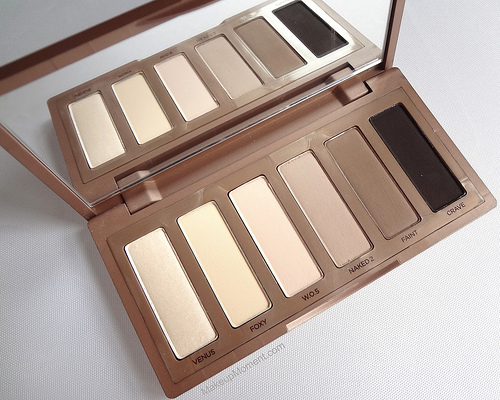 What do you all think of Urban Decay's Naked Basics Palette? Have an awesome weekend, dolls! WOW, this is nice! :) Perfect for traveling and using for mininal looks! I really like this palette I need to get it. I love this so much! I have been using it a lot since the colors are just so settle, there perfect for work!